We were pretty faithful to our plan to take the back roads today. The sun came out and we were blessed with a beautiful day to poke along the edge of Lake Ontario. New York is the apple state, Big Apple and lots of little apple trees. 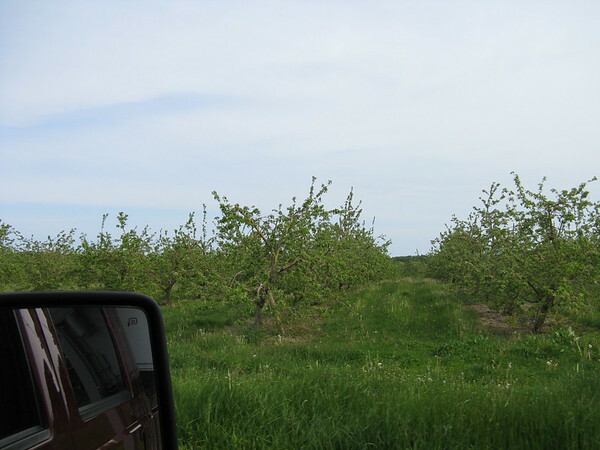 Apple trees as far as the eye can see. 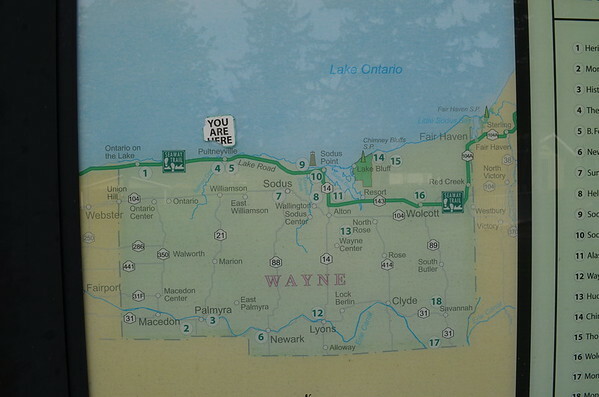 We meandered along the lake shore and stopped at a small state park to take break and enjoy the view. 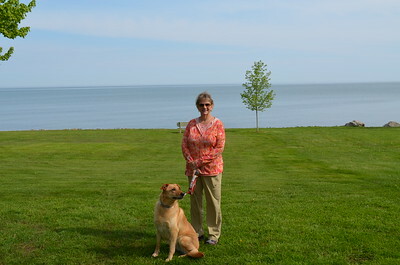 Lake Ontario is impressively large and the vistas today were wonderful because of the nice weather. We didn’t bother to photograph the gorgeous and expensive homes along the lake shore but I’m sure you can imagine the money it takes to buy a view like this. 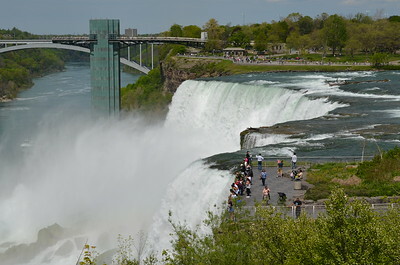 Niagara Falls is also impressive. Photos don’t really do it justice but the perfect weather made for a great visit. We didn’t do all the attractions because we have Ginger with us but we did walk the entire park.